The European Centre for Medium-Range Weather Forecasts (ECMWF) is an independent intergovernmental organisation supported by 34 states. 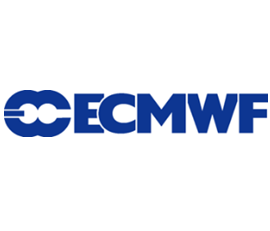 ECMWF is both a research institute and a 24/7 operational service, producing and disseminating numerical weather predictions to its Member States. This data is fully available to the national meteorological services in the Member States. The Centre also offers a catalogue of forecast data that can be purchased by businesses worldwide and other commercial customers. The supercomputer facility (and associated data archive) at ECMWF is one of the largest of its type in Europe and Member States can use 25% of its capacity for their own purposes.